The following are quotes from 4 Nobel prize winners. 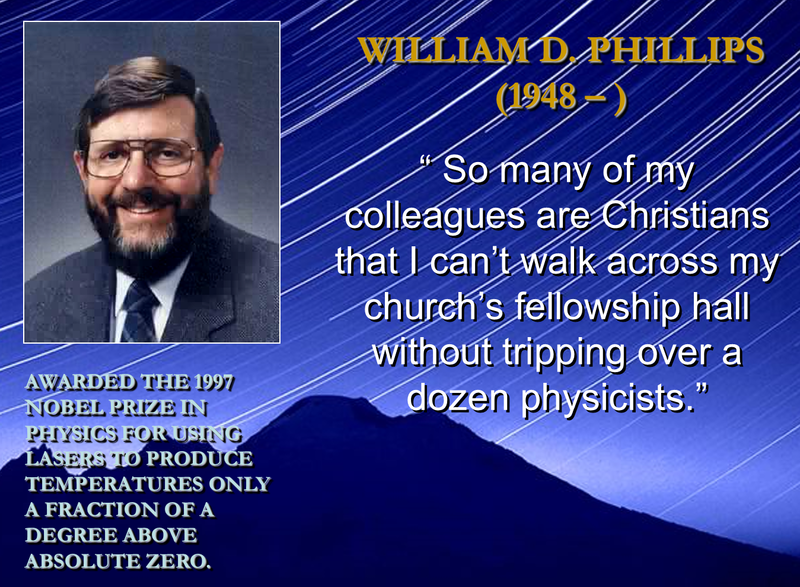 As a physicist, working in the time and frequency community, I have personally met Bill Phillips. He is American physicist and a Christian (Methodist). 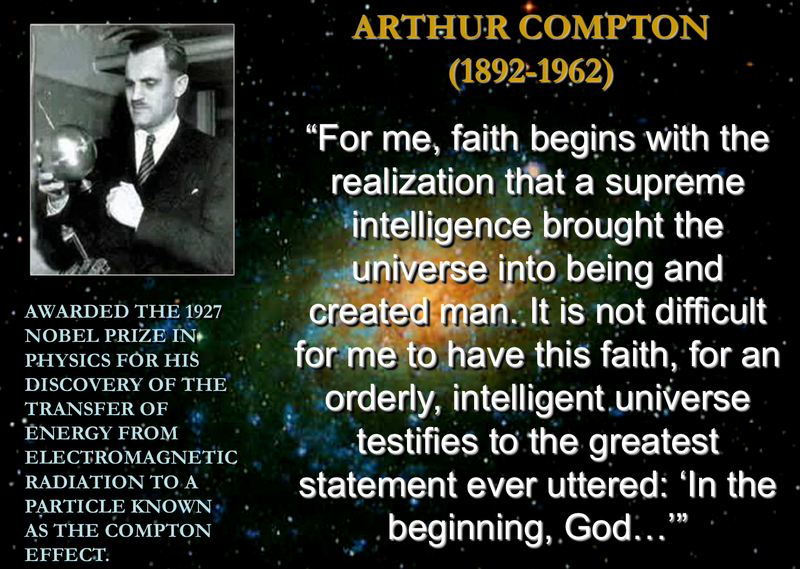 Arthur Compton, a Christian (Baptist) held to a supernatural Creation by God (Genesis 1:1). He had faith in the supreme Creator God. 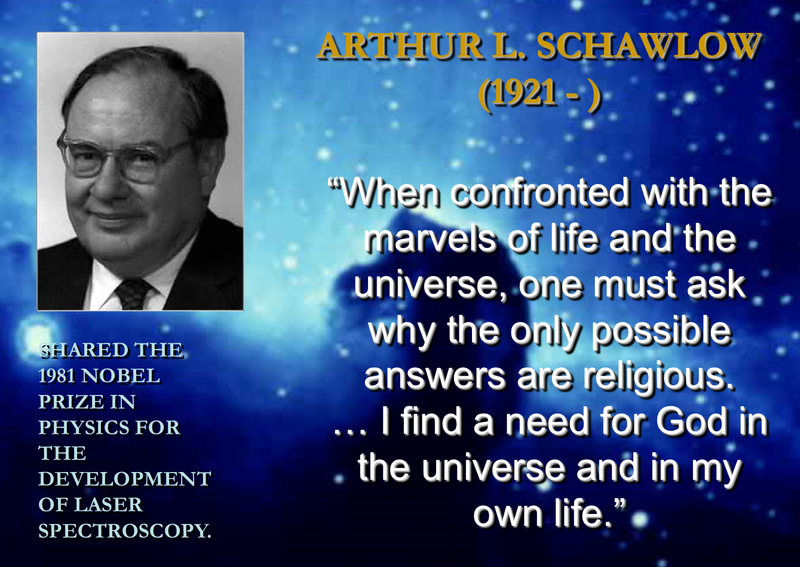 Arthur Schawlow, also an American physicist, and a Christian, saw that the Universe was the result of an intelligent Mind, not due to random chance and the laws of physics (and some as-yet-undiscovered esoteric quantum string theory or M-theory in higher dimensions). 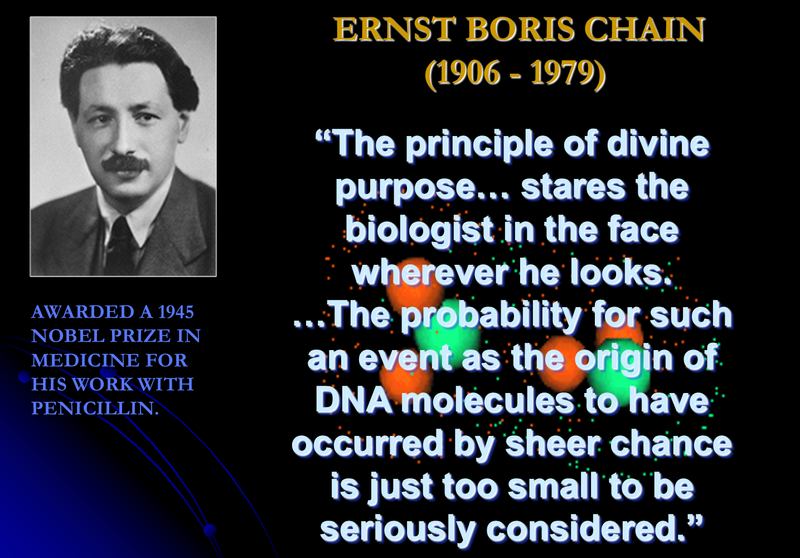 Sir Ernst Boris Chain a German-born British biochemist, and a believing Jew, rejected the origin of information in the DNA by random chance evolution. ← Does the Bible really describe expansion of the universe?